A woman is subtle. She communicates differently than you and can be difficult to understand. Truth is, she can be frustrating no matter how much you love her. You may find yourself doing things you really don’t want to do and wondering why you’re doing them. Well, this is because of the mind games she’s playing on you. She loves you, but she’s got some tricks up her sleeve. 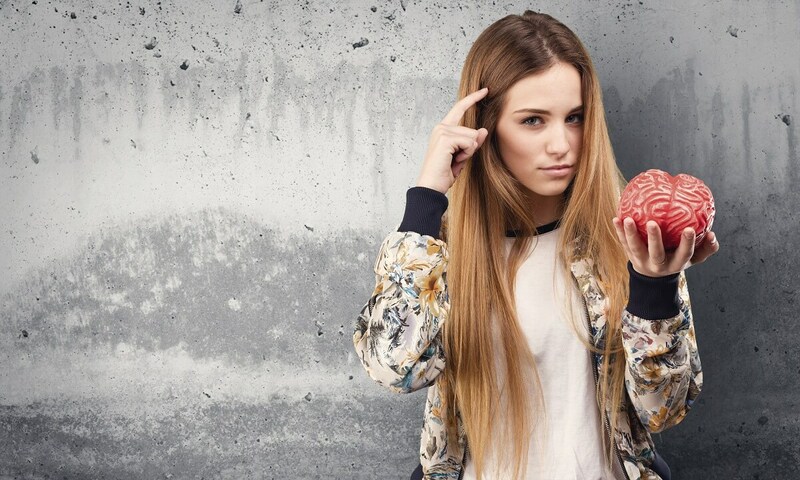 Here are seven mind games that you might not know about. This is a sign she’s playing mind chess. Increased praise is a sign she’s trying to get what she wants. If you’re secretly wondering, “When did I get so great?”, watch out. She wants something in return. Her Matrix-inspired mind gymnastics will have you wondering if you even know what the color blue or red is. She uses increased praise to trick you into doing everything she wants. Because she’s been so pleasant and encouraging, you may feel guilty turning down her request, even if you don’t want to do it. It’s not what people think, women are not prone to crying that much. For that matter, they’re often labeled as Drama Queens, or too emotional, so this can inhibit their crying. Having said that, mind game tears aren’t real tears. Yeah, the salt is real, but the distress isn’t. They’re an attempt to control the situation. Your woman may begin to cry for seemingly no reason. This taps into your need to keep her happy and protect her. She must be so sad, you’ll do anything to help her. Know that this type of trickery can be employed by many different women in your life, such as your mom, wife, or sister. They, too, know about your need to protect, and they’ll use it to get what they want. Known for their ability to increase familiarity and intimacy, pet names are a great strategy to butter you up. By using different vocal tones she can coo your pet name, moan your pet name, and have you forgetting what your real name is. All this gentle calling can leave you feeling very needed, accepted, and wanted. When you feel this way you’re right where she wants you. Most women know that touching is a form of communication. You can transmit a lot of information through the way you touch someone. For instance, if you poke someone hard that can mean you’re angry. If you grasp for someone that can mean you’re sad or desperate. And if you slide your fingers down someone’s arm, that can mean you want to do more than touch their arm. Your mind-bending woman knows exactly when, where, and how to touch you. She can manipulate your thoughts just by manipulating her touch. It’s like Inception, except it makes more sense. While you might not like to be compared to other men, or people in general, because it makes you feel bad, comparing is one way your woman tells you she doesn’t want to be left out. If she says the other women have more fun with their men or get more expensive gifts, listen. She’s comparing you to someone else to encourage you to get your stuff together. I mean, you don’t want to be known as that guy with half-an-inch deep pockets, right? You see, if you don’t catch a hint, quick, your woman might get her needs met— without you. You love this woman so you want to prevent this sort of behavior. You don’t want her to leave or to get someone else she thinks is better than you. So, what can you do? Found in traditional marriage vows, obedience tends to be geared towards women. Only more recently has it been included in the vows for men to be obedient to women. Many times, you may want your woman to be subservient and do whatever you like. But you see, she’ll use this against you, too. Yeah, she’ll play docile Barbie doll for a hot second, pretending like she’s obedient and submissive, just long enough to get whatever she wants. Avoiding will leave you in a state of desperation, questioning what you did wrong. If she feels as if you’re not focused on her, she may avoid you to remind you that you can lose her. Her avoidance can be a big emotional stressor for you. The questions will pile up: How can you fix it? How can you understand her better? What did you do wrong? And then, suddenly, she’ll be all lovey-dovey, again. You’ll be relieved, and she’ll act as if she didn’t avoid you for the last two weeks. If your woman’s the mind-game-playing type, she’ll know exactly when to stop this behavior. And when she does, you’ll be lying in her net, flopping around, gasping for air. Wanting your woman to be obedient and subservient is a recipe for manipulative behavior. So, you may want to avoid this and treat her like a person. Not all women are trying to manipulate you or do you harm. Though, there are some women who are intentionally controlling you and the relationship. Trust your judgment on your woman’s behavior and look for the signs of mind games. Thanks for stopping by, Snuggums.